Students pledge allegiance to the flag on Veterans Day at the Greebrier School, Hinton, W. Va., ca. 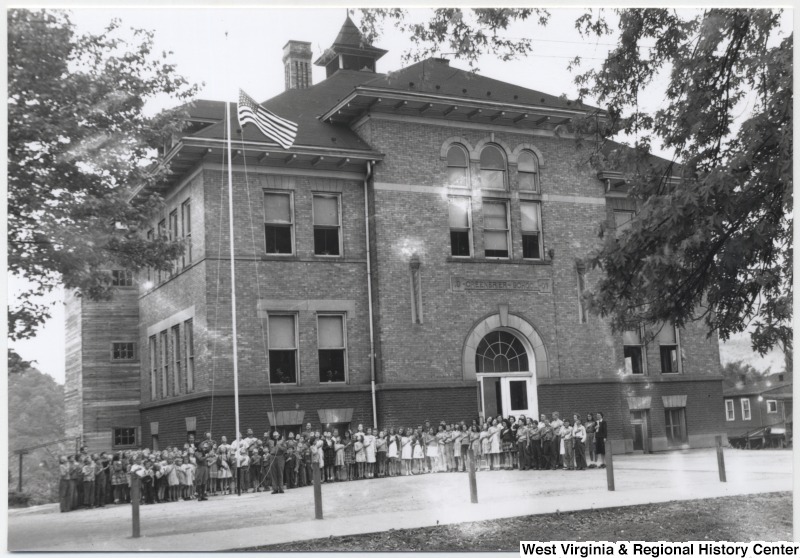 1950, image from WV History OnView. 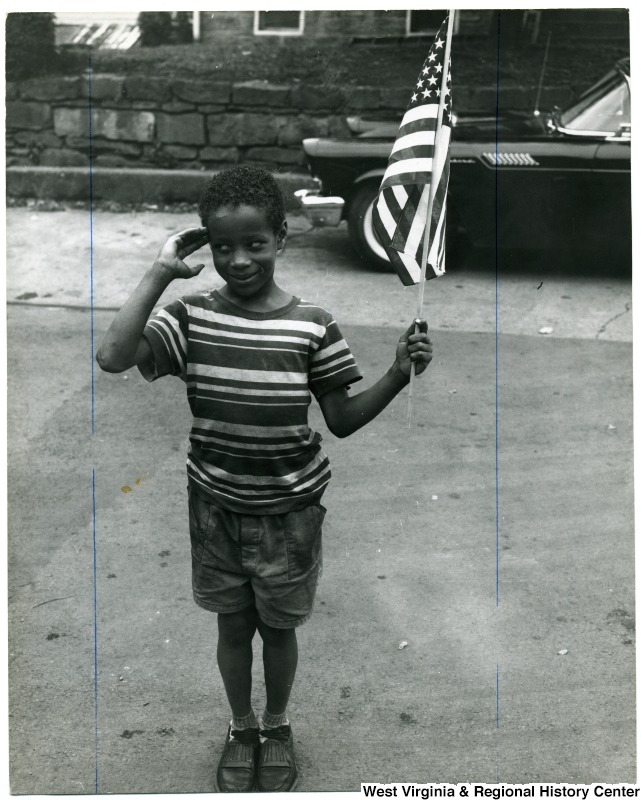 In the 1940 case, Minersville School District v. Gobitis, the Supreme Court had ruled that schools could compel students to salute the flag and say the Pledge of Allegiance. In an 8 to 1 decision, the Court decided that the flag salute and pledge were secular practices designed to encourage patriotism and national unity. The Gobitis family were Jehovah’s Witnesses and objected to the flag salute. The Witnesses consider the salute to be a form of idolatry and participating in it unfaithful to God. Although the United States had not formally entered World War II in 1940, patriotic sentiment in the country was very high and skyrocketed after the Pearl Harbor attack in December 1941. Seen as traitors, Jehovah’s Witnesses across the country endured violent attacks after the Gobitis decision. The hostility caught the attention of national figures like Eleanor Roosevelt as well as the Supreme Court justices who had ruled in Gobitis. 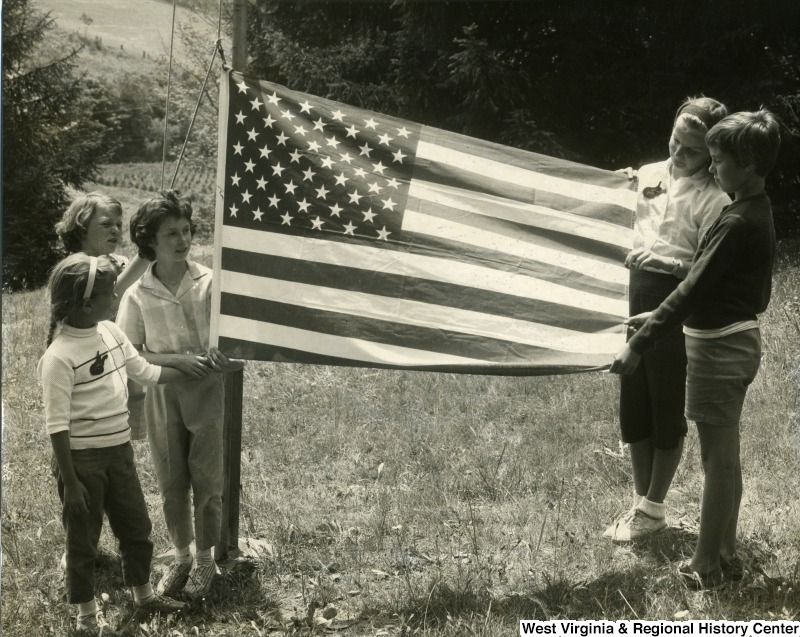 Nevertheless, relying on the Gobitis decision, in January of 1942, the West Virginia State Board of Education made saluting the flag mandatory for all students and teachers in any school supported by public funds. The Barnett family (their name was misspelled by the SCOTUS) of Kanawha County had become Jehovah’s Witnesses in the mid-1930s. When the question of the flag came up, father Walter Barnett instructed his daughters Gathie and Marie to stand respectfully but to not participate in the salute or the pledge. The girls attended Slip Hill Grade School near Charleston. Although their teacher was sympathetic, their principal enforced the State Board rule and expelled them from school. The Barnett family filed suit in the United States District Court for themselves and other Jehovah’s Witnesses in the area. They won the case. In the two years since the Gobitis judgement, three justices who had supported the majority opinion had made it known they no longer agreed with their decision. Because of this, the District Court felt they did not have to accept the decision “as binding authority.” The State Board of Education then appealed.